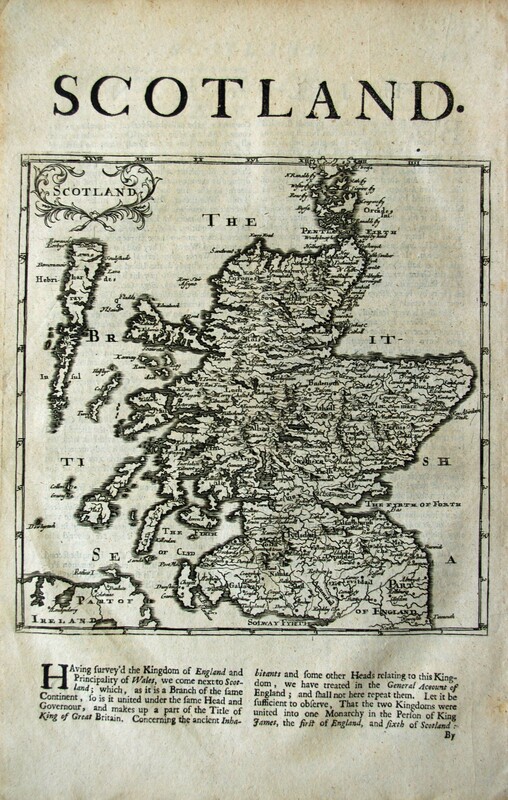 H Moll's Map of Scotland 1695 (London) with 5-6 pages of descriptive text. Map measures 18 x 18.5 cms. (Page size 20 x 30 cms).